We have been making FOOTBALL ROBOTS for our science topic. We have made eight football robots and there all working. We decorated them and made them useful for real life. The wiring was very tricky and complicated to do. The football robots have a hand held controller to work them. The football robots have two motors facing down the way so if you pressed the left button the motor connected to the button would go left and that is the same for the other side. We took them to the High School and children from other schools got to play competitions with them. It was exciting! One afternoon a scientist called Dave came to see use to tell us about light and lasers. It was fun. We made a thing that can see spectrums. 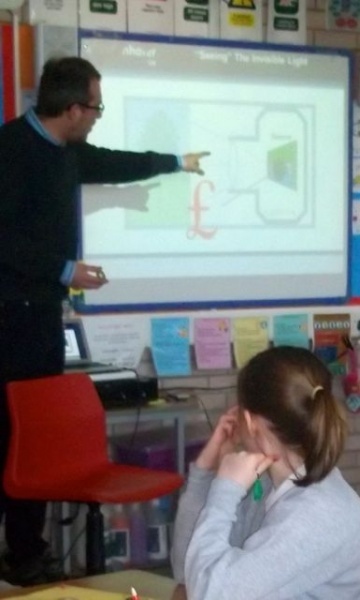 We told the p3/4s about our day with a scientist. He told use about the laser that he built and the biggest laser in the world. I hope he comes back because it was really cool. 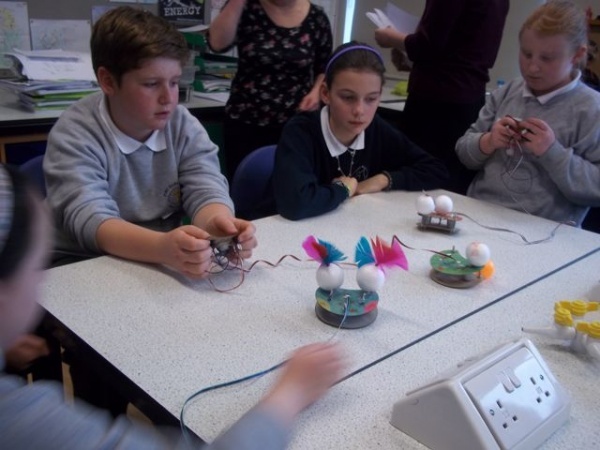 On Thursday 21st March every P7 in Islay and Jura went to the the Islay High School to do some science. The day started when Mr Kitchen filled a flask with water and placed it on a gas cooker. The water turned into steam which came out off the flask and then he put the lid on it. Then we went to Ms McNaughton who was talking about air in our lungs. She also showed us how to float a straw in water and measured in many different ways. 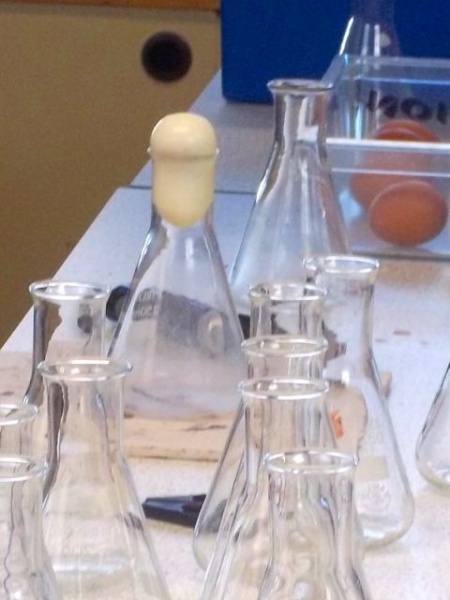 We also found out how to get a boiled egg into a flask without touching it. 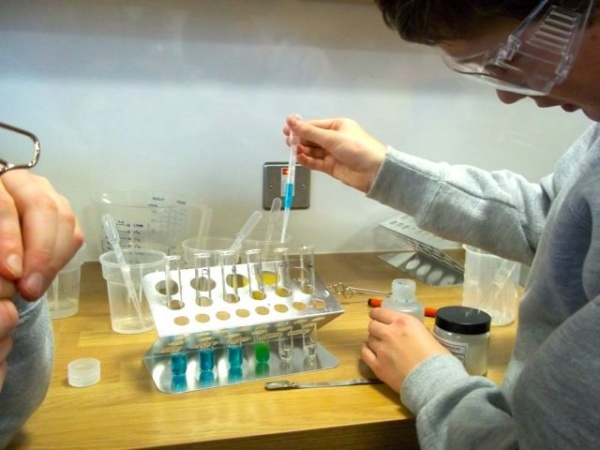 Last week was science and engineering week.In school we were learning about food science. We tested for glucose, iron, fat, protein and starch. For the protein we got protein strips and food juices. We then got a test strip and dipped it into the food juice. We then looked on the bottle and seen what colour it matched to. For the iron we got different cereals and put them into a sandwich bag and then we sealed the bag tightly. Then we crushed the cereal with a rolling pin and then added a bit of water. Then we got a strong magnet and kept sliding it back and forth looking for iron(wee black dots). For fat, we got a piece of brown paper and drew a circle it, then rubbed what ever it was, and held it up to the light and the parts in it are fat. For glucose we used Benedicts solution. 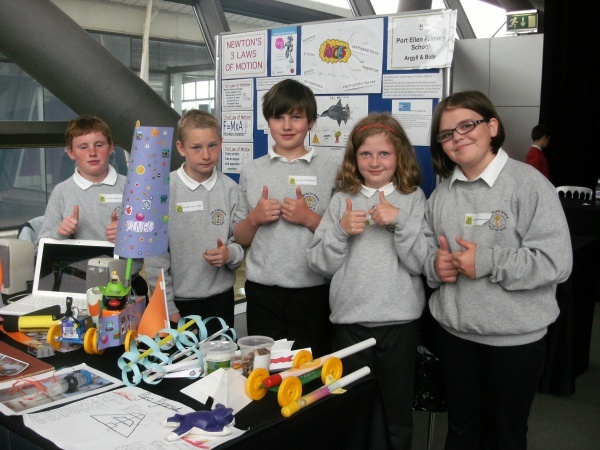 In our class we are making eco ferrys for a science compition in Glasgow. We made them in our table groups. We did a practise speed boat which worked alright. But our real thing will have to carry cargo and the boat that is done in the fastest time will win. You can go back and forth as much as you want. The ferry can only be 18 cm wide as thats as wide as the tank is. You also will get extra points if it is powered by a renewable source . It is alot to think about when were building the real thing . We attempted to make a prototype out of junk some worked much better than others. Some tipped over when they started and others couldn’t go straight. Were are working on it and adjusting it so that it will go straight in the water. Wind power is a for m of renewable energy. 24% of Scotland’s renewable energy comes from wind power. 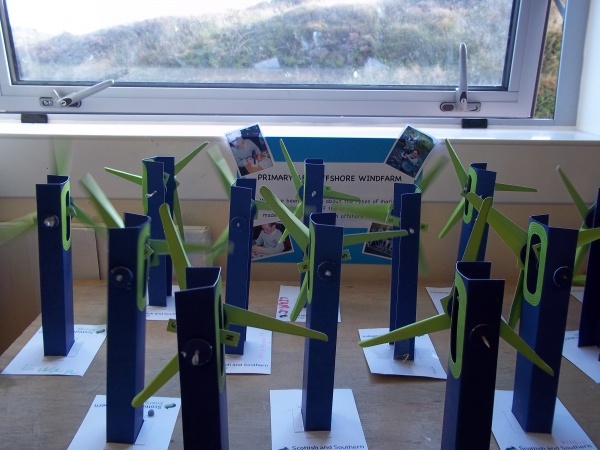 It is created when wind spins the turbine that in turn spins a shaft which leads into the generator where a magnet is turned around a coil of wire which creates energy. That is how you make energy from wind. My personal topic is the circulatory system and I am going to make a fantastic jigsaw Of the circulatory system. Then I am going to make devil dark red vessels out of papier mache. Next I was going to ask questions one of my questions were what does the blood looks like,my second question was what happens when you cut you self. My topic is the lungs, I have made a 3D modal of the lung that shows how your diaphragm works also I’m making a power point about asthma. How the lungs work, when you breath in your diaphragm pulls down, it lets air in to your lungs and grow out when you breath out your diaphragm pulls in and your lungs goes in. 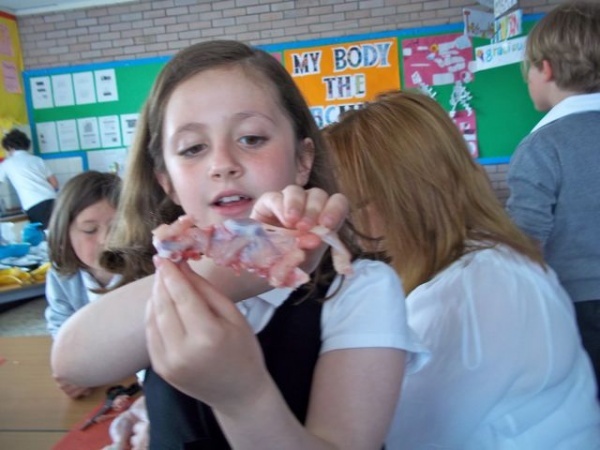 This week we were dissecting a chicken and I thought it was good for research. but Mrs MacDonald thinks it is the lungs as well so I think it’s the lungs.